ISLAMABAD: Chinese Ambassador to Pakistan Yao Jing said Wednesday that the media cooperation between the Pakistan and China has proved very productive in strengthening the mutual socio-economic partnership. 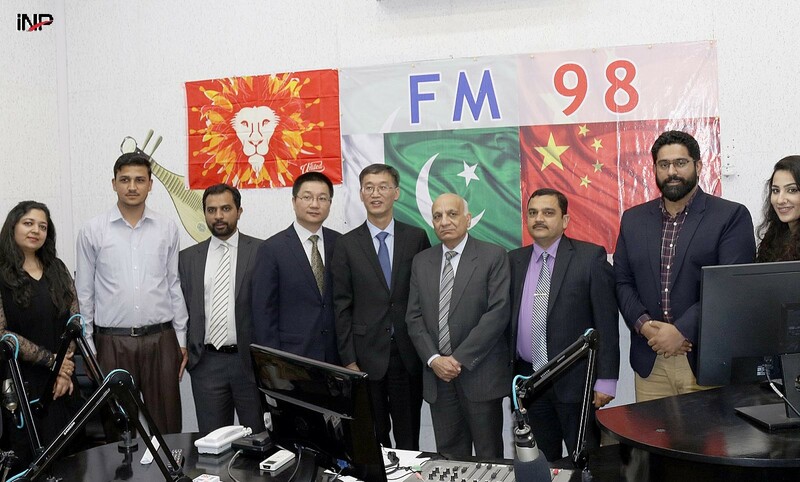 He said this while talking during his visit to Dosti FM 98, which was jointly organised by China Radio International (CRI) and Pakistan Broadcasting Corporation (PBC) on Wednesday. The ambassador noted that the channel works as a strong bridge to promote understanding and cooperation, particularly in social and cultural fields. The Chinese ambassador also spoke about growing cooperation under the China-Pakistan Economic Corridor (CPEC) saying that currently, twenty CPEC related projects are progressing rapidly with the cost of around Rs19 billion. Radio Pakistan DG Shafqat Jalil said on the occasion that they felt proud of deep-rooted friendly relations between the two countries. He said that during the recent visit of Information Minister Marriyum Aurangzeb to China, a new agreement was signed under which Pakistani movies would be shown in China. He also praised the Dosti FM 98 channel and said that it was doing very well to strengthen bilateral ties and people-to-people contacts.